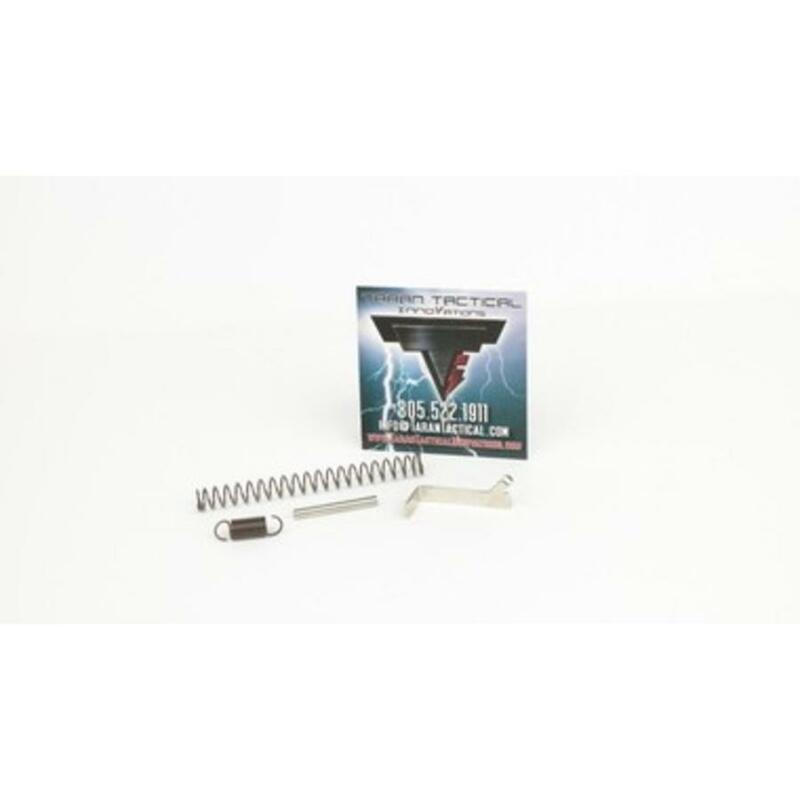 TTI Grand Master 3.25lb Connector Kit Any great shooter who knows their way around a Glock will tell you that the key to having the optimal set-up is a great connector kit and extra springs. When we sent out our new TTI Grand Master 3.25lb Connector Kit to some of the world's top shooters, and we received a unanimous " Holy ! @#$, dude! ". Glock's advertised 5.5lb trigger pull actually measures out at 7-7.75lbs on average. 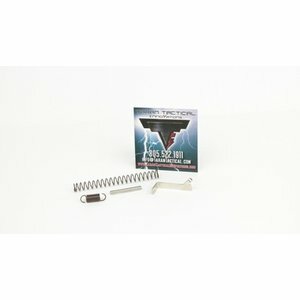 The Grand Master 3.25lb Connector Kit brings down the trigger pull to 3-5lb with no gunsmithing! (Varies from Glock to Glcok). 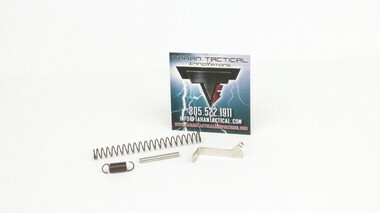 This trigger package will provide the lightest, smoothest, and cleanest trigger break you'll ever put into your Glock. Made from extremely hard SAE 1075 Heat-Treated Tool-Steel, highly polished, and the only connector that is electroless nickel plated ( MIL-C-26074E Military Standard ). This process achieves a light, clean smooth break with specially designed chrome silicone springs to remove some of the take-up and add a faster reset while reducing brittleness. Top shooters from around the world attest to the superiority and competitive excellence brought by the Grand Master connector kit. Shooters such as; Bob Vogel ( World and National Champion ), Nils Jonasson( National Champion ), Shane Coley ( National Champion ), Blake Miguez ( National and World Champion ), Shannon Smith ( National Champion ), Manny Bragg, Dustin Ellerman ( Top Shot Winner ), Randi Rogers( National and World Champion ), Kieth Garcia( 3 Gun Nation Champion), Gabby Franco ( Top Shot ), and Allie Barrett ( World Rim-Fire Champion ). Kit includes: 1x TTI GM Electroless Connector. 1x TTI Reduced power Striker Springs. 1x TTI Trigger-return Springs. 1x TTI Reduced Power-Plunger Spring. 1x TTI Stainless Steel Rear Trigger Pin.